In todayâ€™s world where everyone is busy and having ANYTHING ready to eat is a major accomplishment, is a separate space allocated only for dining really practical? 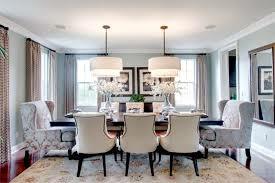 Well actually itâ€™s that very reason to give Dining Rooms their props! To have a place to retreat after a long day and be able to close the door on the â€œdirty dishesâ€ (if only temporarily) gives people a chance to sit down, forget about the stresses of the day and reconnect over dinner. Many people also grew up in houses with separate dining rooms so when it comes time to buy, they might want a piece of home that reminds them of their childhood. Also most new construction features open floor plans and thereâ€™s a pent-up desire for a home with separate dining rooms and kitchens. +3nester you might not want to see a house with a dining room at all because the honor of hosting holidays can be passed down to the next generation! Another option if you find you are using the Dining Room less and less is to re-purpose, until the need arises to entertain more often. 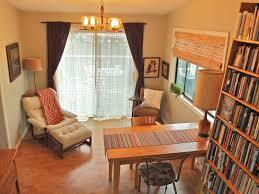 Perhaps a playroom for young children or a home office would better suit your immediate needs. The concept of separate spaces for cooking and eating is proving so attractive that architects are concocting twists on the idea, among them what they call hybrid kitchens, which can be open or closed using pocket doors. In essence, what research has shown is that people want a little of both. The cook might not want the chaos of cooking and serving around a bunch of people in one room, yet they still want to be in touch with whatâ€™s happening around them. So if you were thinking the Dining Room is a dinosaur of days gone by, think again. Buyers are going back to the future on this one!